Step 2 Divide the sugar water between 2 half-gallon jars. Add 3½ cups of room-temperature tap water (65-70°F) to each jar. Add ¼ cup kefir grains to each jar and stir. Step 3 Place 1 lemon wedge and 2 tablespoons dried fruit in each jar. Place cheesecloth over each jar and secure with a rubber band. Step 4 Let the water rest at room temperature out of direct sunlight (65-80°F) until bubbly, 48 to 72 hours. The warmer the temperature, the quicker the water will ferment. Step 5 Using a nonmetal strainer, strain out the kefir grains and save for making another batch of kefir. 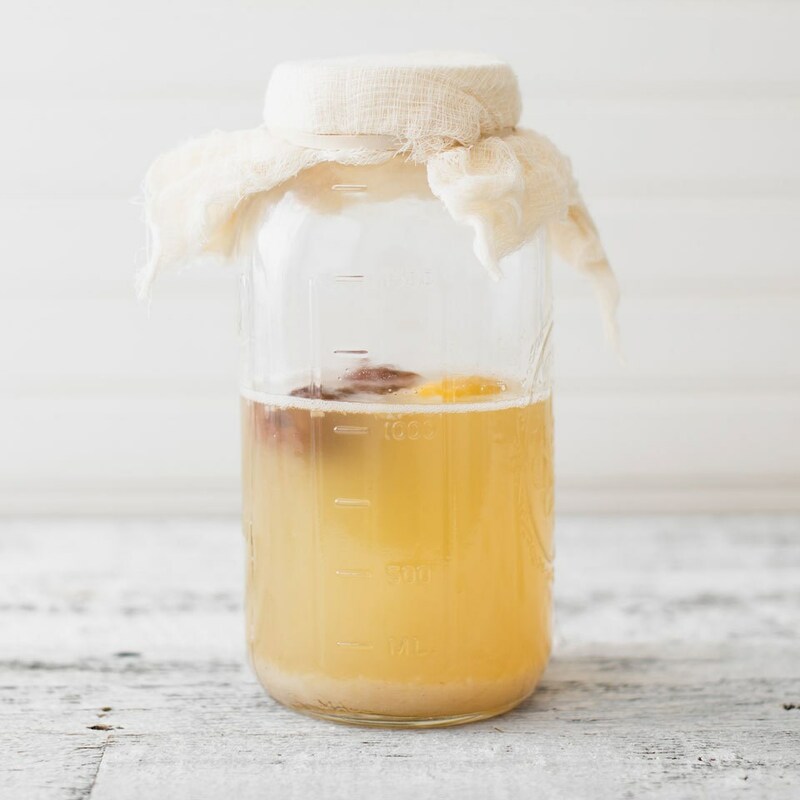 Use the water kefir as is or continue onto a second fermentation to add carbonation. Step 6 To make carbonated water: Divide the water kefir among bottles that have sealable, nonmetal lids. Leave 1 inch of air space at the top of each bottle. Seal the bottles and let rest for another 12 to 24 hours, then transfer to your refrigerator for another 2 to 3 days. You may want to "burp" the water each day to release the pressure, as sometimes the pressure gets to be too great and the water may explode.